We are offering a wide range of Plastic Table which can be used as outdoor and indoor usage. We are backed by a team of highly skilled professionals offering a wide gamut of HDPE Tent that is manufactured using utmost grade HDPE material and modern technology. The products offered by us are widely acclaimed for their durability and other remarkable features. 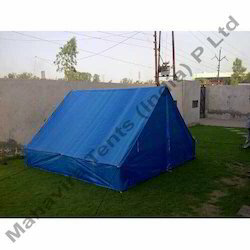 We are providing high quality range of HDPE Tent. It has the capacity to bear several environmental factors like rain, sun. Our range is largely demanded by our clients across the globe. It is highly appreciated for durability, weather and tear resistance and simple setting up. - Used to covering from the wind, rain, sunlight etc. We offer a wide range of PVC Coated Tents that are tough and are easy to install and handle. These tents have high protection against chemicals water and other gases. These are available in various patterns and sizes thus meeting the varied needs of our clients. 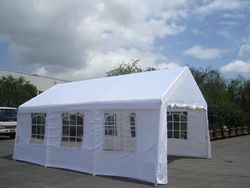 We are offering PVC Coated Party Tent. We are offering Relief Tent. We are offering PVC Relief Tent to our client.